Preparing an impressive meal while staying in a hotel sounds like an oxymoron, right? Well, 49 others and I have set out to prove that it can be accomplished. Extended Stay America posed a challenge – create a meal that could be prepared in one of their suites in 30 minutes with 11 ingredients or less. The prepared meal could only involve stovetop or microwave cooking, no baking. The results are creative and mouth watering, and represent a variety of entree options . 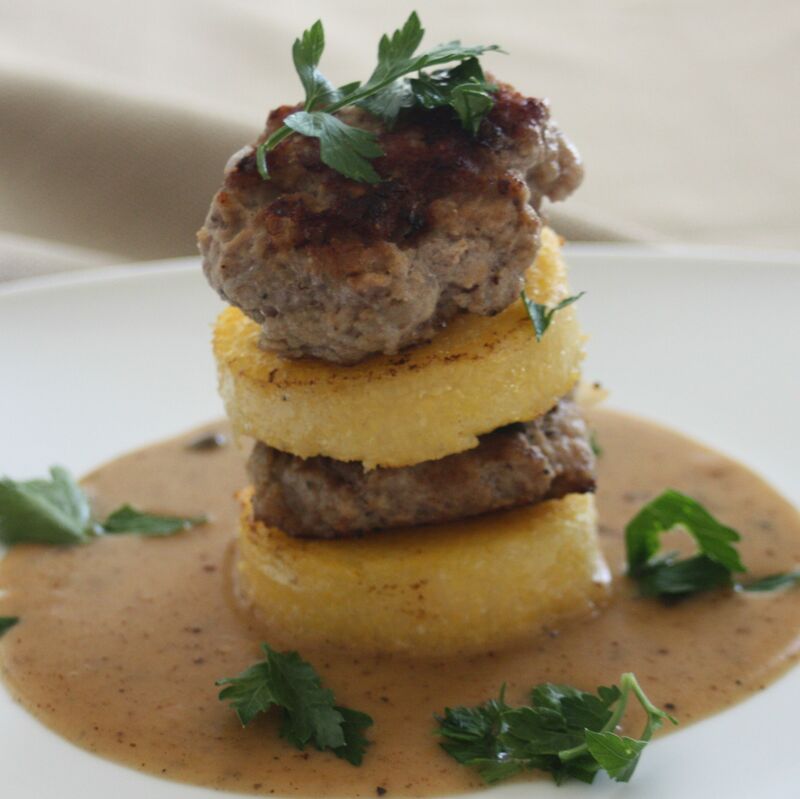 My finalist entry is Veal Piccata and Polenta Napoleon. 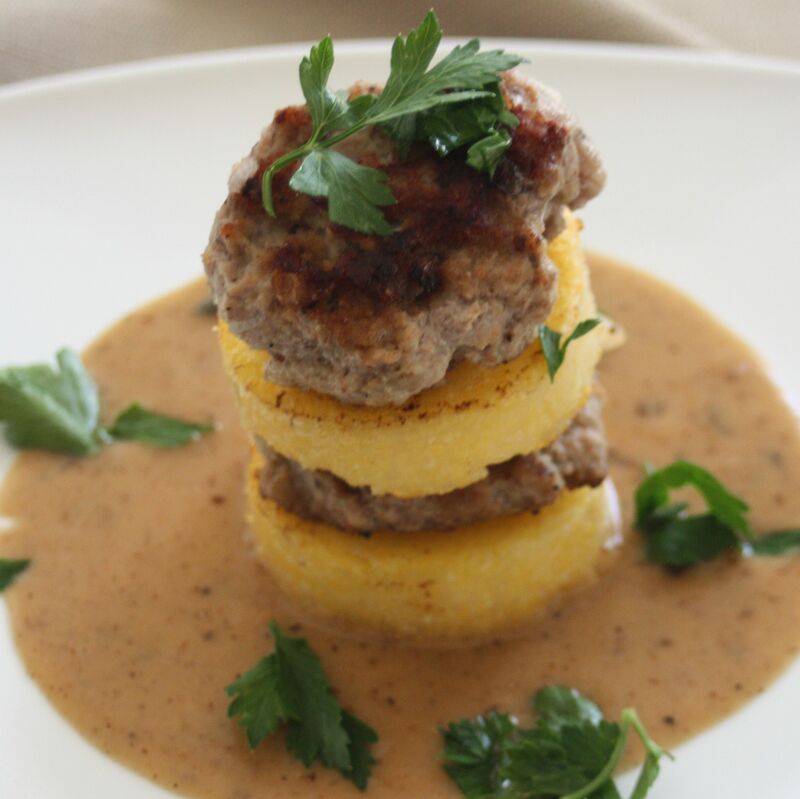 It has all the rich flavors of traditional veal piccata mixed with some shortcuts and simplifications to cut preparation time without sacrificing taste. You can even make this away from home, since the ingredients are readily available, and it doesn’t require a lot of kitchen gadgets. I encourage you to check out all of the finalists, and vote daily for your favorite, based on originality, creativity and appeal. Four of the dishes will get to compete in a cook-off in September, with the winner selected by a judging panel and Sunny Anderson from the Food Network. This entry was posted in Entree and tagged cooking contest, polenta, veal. I didn’t realize that is your entry. Congratulations! You’ve got my vote for sure! Good luck!!! Thanks, Karen! I’m grateful for such wonderful support!